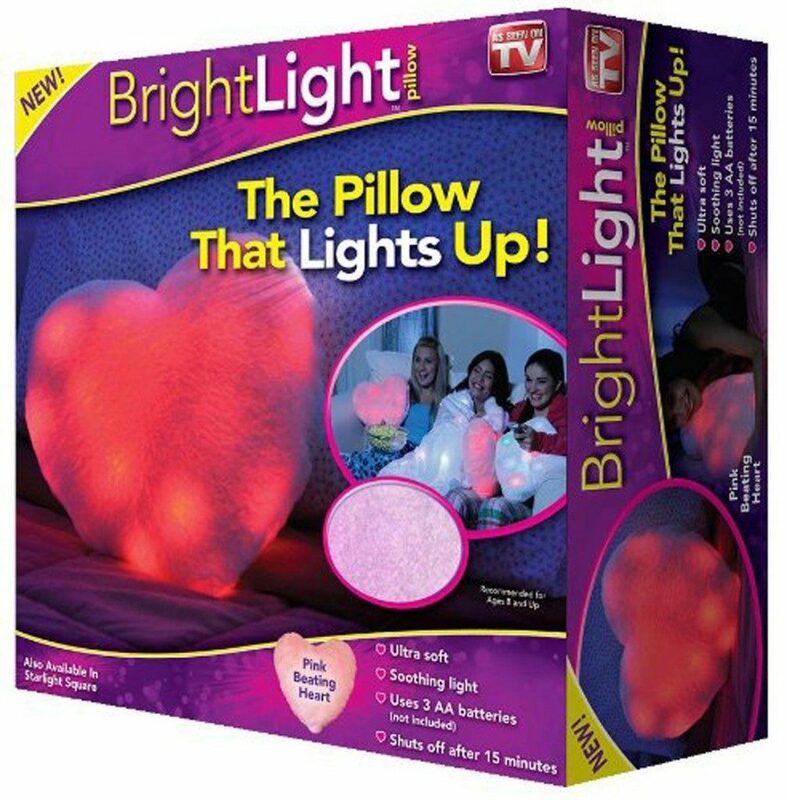 Bright Light Pillow As Seen On TV - Pink Beating Heart $6.79 + FREE Shipping with Prime! You are here: Home / Great Deals / Amazon Deals / Bright Light Pillow As Seen On TV – Pink Beating Heart $6.79 + FREE Shipping with Prime! Bright Light Pillow As Seen On TV – Pink Beating Heart $6.79 + FREE Shipping with Prime! Head over to Amazon and get the Bright Light Pillow As Seen On TV – Pink Beating Heart for just $6.79 (reg. $39.99). Shipping will be FREE with Amazon Prime or an order of $35 or more. Bright Light Pillow is the first light up pillow for bedtime. These night light pillows are great for kids who don’t want to go to bed and fun for older kids and adults too! Bright Light Pillow comes in 5 glowing colors: Red, Blue, Yellow, Green & Multicolor. Just squeeze the pillow to turn on the bright lights! Lights auto shut off after 15 minutes. Order the pillows that light up today!